There is a lot to talk about this week so let’s just jump right into it. 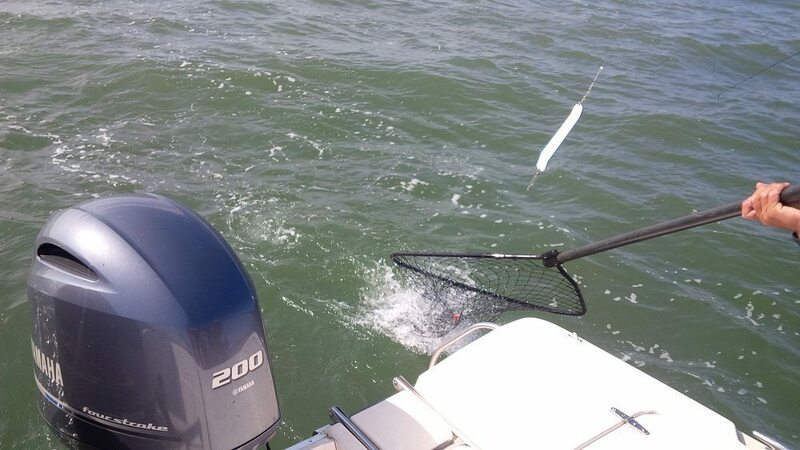 The bait continues to move around the South Bowen and Gibson area. Where you find bait you find chinook and coho. It is pretty much that simple. Now being in the right place at the right time, not so much! 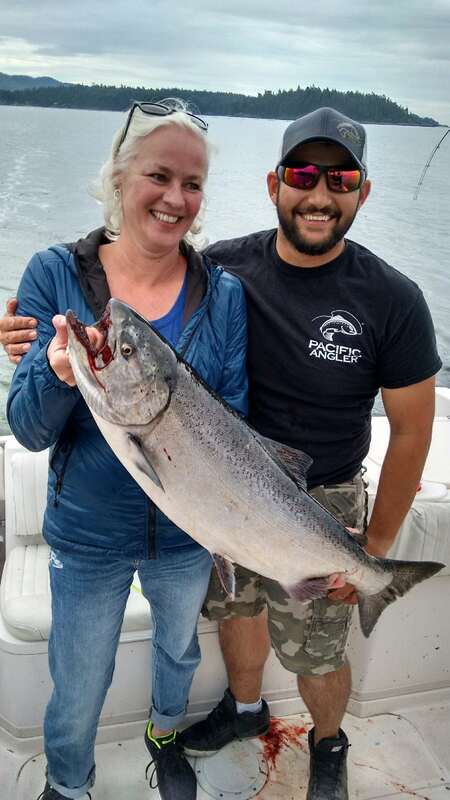 Add some orcas into the mix and you have a recipe for some highly variable fishing. When the whales haven’t crashed the party and the bait is around, the fishing sure has been good. 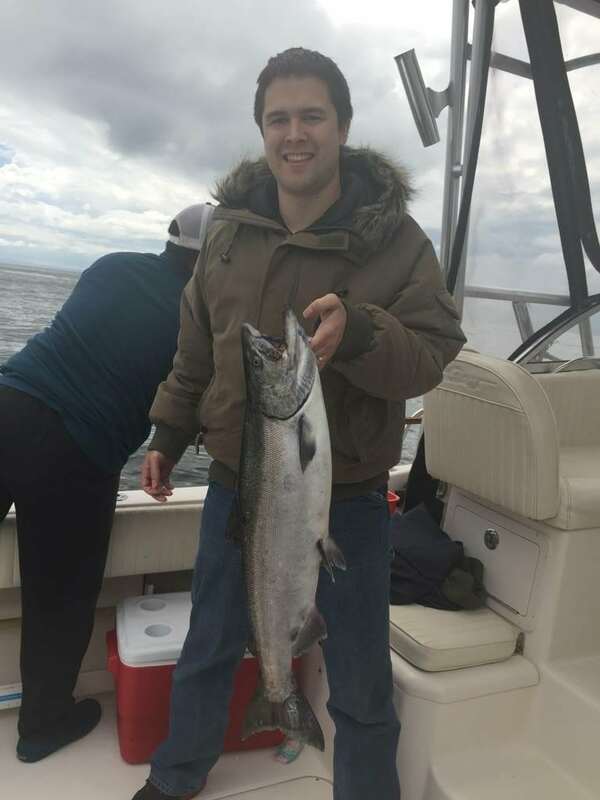 Lots of chinook and some nice size coho as well. The fact the bait is shallow and the salmon are shallow has also made it a lot fun to work the gear. We are getting most of our fish from 30-70 on the downriggers. This is much more fun than 150-240 that we often fish at Thrasher Rock this time of year. In terms of gear, for flashers we are using Green Onion Glow, Green Onion, Purple Onion Glow, Purple Onion, Salty Dawg, and Betsy in silver or gold. Use the Betsy on your top rods or a non glow flasher and use the flashers with some glow tape on your deeper rods. Spoons and bait have been very productive, both with a 5 to 6 foot leader. On your shallower rods non glow spoons like the Killy McGee have been very productive. Basically some spoons that are nickel with some green on or blue on it. A little deeper down where things get dark we are back to the old standbys like a Pesca Gut Bomb or Irish Cream. The same can be said with your bait teaser heads. Chrome colours working up top and glow colours down deep. We have to mention the all powerful white UV hootchy as well. This has taken a number of chinook this past week and lots of coho. Our guests worked hard to land this fish at Thrasher yesterday. Getting back to Thrasher, we did some trips there this week and fishing was average. We had to fish hard to get into some legal size fish. They are around but it hasn’t shaped up to be a stellar year over at Thrasher. For the most part we are doing as well or better on this side of the pond. We have another week, maybe two at the most for this fishery and then it usually winds down. You can always grind out some feeders on the structure but with the good fishing on this side I would rather fish shallow and take my chances at finding the bait and the fish. That being said, you could go there tomorrow and have an excellent day. The fish move around a lot so you have to roll the dice, stay on this side or make the run across. Never an easy decision unless the NW winds make it for you! 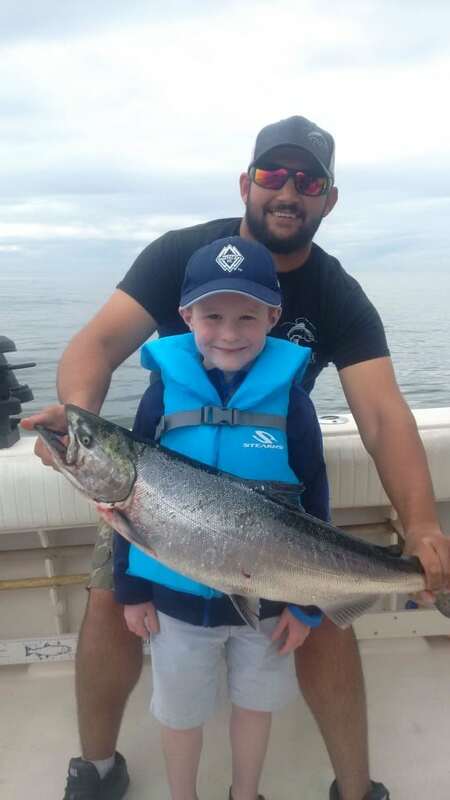 A young guest with his first salmon. Great reeling! We are starting to see the first mature Squamish chinook get caught. This fishery will get going as we near the end of June. A good bet next week will be to head to Hole in the Wall and fish bait in the 60-120 zone on your riggers and troll from there up to Sunset in search of these large chinook heading up Howe Sound on there way to the Squamish and Cheakamus. If you head out at first light you can even get them shallower at times, from 30-60 on the riggers. This fishery is hit and miss as the fish are there one day and gone the next, but when you hook up they are often a good size. This is a bait fishery, so a good setup would be a Salty Dawg or Green Onion Glow flasher, 6 foot leader, and herring or anchovy in a glow green teaser head. Another nice fish caught on a local 6 hour trip. Coho are also building in numbers off West Van. It is not red hot by any means and it is very early for this fishery, but it looks promising so far. There are already coho in the Capilano River and in the hatchery and we have heard of some fish being caught off West Van on white hootchies. The fish are usually shallow early season, from the surface down to 50 feet. So keep your gear shallow, troll fast, and cover water. Crabbing has been decent but will drop off substantially the next few weeks as the commercial fleet is now working the local crabbing grounds.